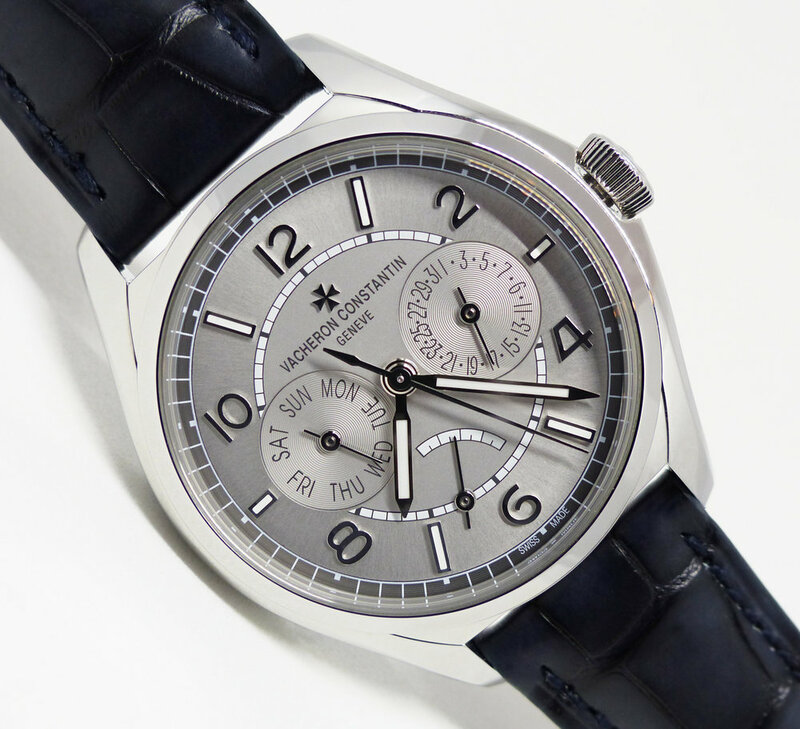 VACHERON CONSTANTIN’S NEW COLLECTION LINE : THE FIFTYSIX ! The Maison Horlogère did a modern interpretation of the reference 6073 (launched in 1956). Introduced at the SIHH 2018, the Fiftysix line was presented with three versions. A standard 3 central hands / Date window called the Fiftysix automatic. A Fiftysix Calendrier Complet which includes a Moonphase & Complete calendar and finally this one, the « Day-Date » that pretty much intrigued me. The timepiece is beautiful! That’s exactly what you expect from the Geneva’s oldest Watch Manufacture. Its overall aesthetic is very modern/contemporary. You can easily wear it during the business week or in more relaxed environments like afterworks or hotels lounges. Available is stainless steel and 18K Pink Gold, the Fiftysix Day-date offer a clear dial with useful indications. I’m not sure about the location of the power reserve indicator but don’t feel like it’s a big deal. It’s still nice to be able to get the information. The open back is lovely! Always nice to look at a Geneva Hallmark calibre with an oscillating weight (made of Gold 22K) that features the Maltese cross emblem. An interesting fact about the oscillating weight is that it requires no lubrication thanks to a ceramic ball bearing system. I feel like this new line can really perform well in terms of sales in its segment (15 to 25k) and i can’t wait to see how the markets will respond.